Those looking for a warm, full-bodied sound without the muffle and congestion will find the Xelento versatile and TOTL in every regard. Beyerdynamic started life as a family owned business almost a century ago in 1924. They produced the first consumer dynamic driver headphone and have been refining and innovating with their designs since. With such a pedigree, Beyerdynamic has achieved wide acclaim within the modern market, becoming a frequent go-to recommendation within many online communities. Their flagship earphone, the Xelento, represents an evolution of the Tesla technology pioneered by their vastly more expensive T1 headphone. It’s now miniaturised for the in-ear form factor and the ever more portable nature of audio. Made in Germany with a hand-finished chrome exterior, the Xelento is dressed to impress with a rather significant $1000 USD asking price to match. A direct competitor to Sennheiser’s newly updated ie800S, not to mention the increasing number of boutique offerings, the Xelento still holds its own appeal through a combination of perfect comfort and an organic sound. You can read all about the Xelento and Beyerdynamic’s Tesla technology here and treat yourself to one here. I would like to thank Beyerdynamic very much for his quick communication and for providing me with the Xelento for the purpose of review. All words are my own and there is no monetary incentive for a positive review. Despite receiving the earphones free of cost, I will attempt to be as objective as possible in my evaluation. The Xelento has a superlative unboxing experience as a premium, flagship product. Opening the magnetic hard case reveals the two drivers within foam. Underneath are a whopping 13-pairs of ear tips, 3 of which are authentic comply TX-series tips. In addition, the Xelento comes with both remote and audio-only cables in addition to a metal shirt clip and authentic leather carry case. The case is very stylish, but it’s rather impractical for daily use. I personally prefer the case included with the T8ie MKII. Otherwise, a very wide tip choice aids a perfect fit. This is especially important as the Xelento’s stock tips are quite unorthodox in their shaping, however, standard ear tips will fit onto the earphones too. Beyerdynamic are quick to state that the Xelento is handcrafted in Germany and this is immediately apparent when handling the finished product. Their construction feels immensely solid, an impression reinforced by an immaculate chrome finish. Brushed gunmetal faceplates contribute towards a slightly more utilitarian aesthetic, so the earphones present as premium, even opulent rather than gaudy as some chrome products tend to. These earphones are also among the smallest, sleekest designs I’ve encountered and every single surface is delightfully rounded. The result is a perfectly comfortable earphone that disappears in the ear and well-suits smaller eared listeners. Their fit is also incredibly low-profile, barely protruding from the ear, making them perfect for side lying and sleeping. The included ear tips may look unorthodox, however, they provide excellent comfort on behalf of a shallow fit while retaining a strong seal. In conjunction with lightweight housings and an over-ear design, fit stability remains high, and the Xelento suffers from none of the ergonomic complications of its close rival, the ie800(S). To my knowledge, the Xelento is fully sealed, however, its shallow fit produces mediocre isolation. Regardless, sound leakage is a non-issue and despite having oval nozzles, the stock tips can easily be exchanged for standard T200 size tips such as Sony Hybrids, Comply Foams and Final E-tips. Moreover, other ear tips can vastly improve isolation. My Custom Art tips, in particular, provided terrific noise attenuation, easily sufficient for commute, public transport and even air travel. Still, you do compromise some comfort and practicality when going this route. To aid longevity, Beyerdynamic implements an MMCX removable cable. Both included cables are identical in design and construction with silver-plated copper internals and a transparent sheath. Terminations are very low-profile with an eye-pleasing brushed finish. Initially, I found the sheath to be quite sticky, however, over my months of testing, it has become very smooth, no longer catching on clothes. The cable hasn’t oxidised either nor has the transparent insulation yellowed. Otherwise, the cable is a little springy, but its slim and unobtrusive during daily use. The addition of a remote cable will surely appeal to smartphone users too. The Xelento is a warm, mildly V-shaped earphone. It has an emphasized low-end and an organic, full-bodied midrange. Highs are lifted, however, the Xelento’s treble emphasis is executed in such as fashion that detail is brought forward but instruments aren’t thinned out nor is the earphone especially bright or crisp. Like its fit, the Xelento’s sonic characteristics seem well-suited towards easy listening with a smoother texture and inviting warmth that also retains plenty of clarity. However, most importantly, it executes this style of tuning with the superb technical ability one would expect from a 4-digit earphone. Lows are warm and clearly enlarged, but also perfectly extended with terrific control. Sub-bass extends into the lowest of lows, providing satisfying, physical slam at the very bottom. Bass is lifted throughout with a particular focus on mid-bass. As such, bass notes are full in addition to being quite organic. Tone is warm and notes can sound slightly rounded, however, for the most part, they are simply enlarged. 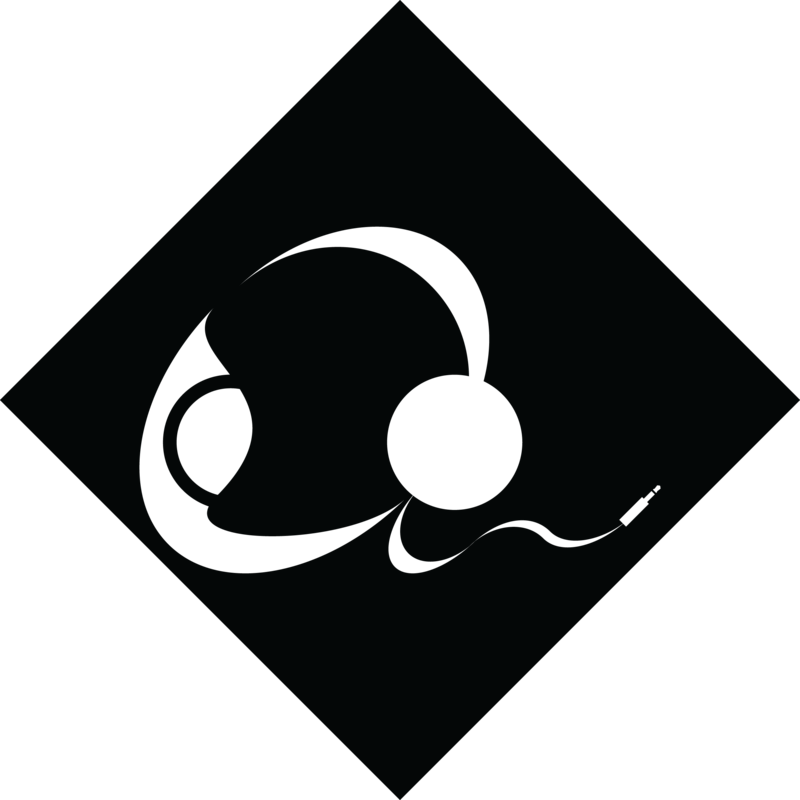 Bass can also sound a touch tubby due to its warmth, however, the level of bloat doesn’t strike as problematic and bass never becomes congested or muddy either. This can be attributed to its truly terrific control, and these earphones definitely don’t relinquish any fine detail in their pursuit of a warm and inviting listen. Each note remains very well-defined with abundant texture. Though separation isn’t enhanced, it remains impressive despite increased bass fullness due to accurate, if not slightly swift decay. The Xelento’s low-end is a touch aggressive but also organic, upholding great detail retrieval. It therefore constructs a high-resolution image with great dynamics without a hint of artificial sharpening. Though the end product isn’t similar, the Xelento employs a similar bass/midrange transition to the Campfire Audio Atlas to achieve separation and prevent bass spill. Chiefly, lower-mids are attenuated by a few dB, effectively bringing midrange tone closer to neutral. A notable climb into the upper-midrange reinforces this effect, imbuing additional clarity, especially to vocals. Still, as upper-bass remains a prime source of fullness, the Xelento maintains a warm, full-bodied voicing. A small 4KHz dip contributes towards this impression, increasing density and ensuring the earphones are without an iota of thinness or brightness despite sounding quite clear. I would consider the Xelento to excel in this regard; its midrange sounds grounded and notes are complete and highly resolved. In return, the centre midrange does sit slightly behind, so vocals are a touch laid-back compared to instruments. However, as aforementioned, vocal clarity is high so they aren’t overshadowed or unengaging. Another interesting aspect of the Xelento’s tuning includes a sharp 6KHz attenuation, a source of treble crispness but also a fairly sensitive region for many. By lowering this frequency range, vocal articulation is spot-on despite lower-treble emphasis elsewhere, and sibilance is a complete non-issue. Though it is V-shaped, tending to draw attention to flanking frequencies, the midrange of the Xelento is a strength, suiting those wanting a lush, natural voicing without sacrificing clarity. Though lifted, I doubt the Xelento will strike any listener as a bright earphone. This is so due to a less orthodox 5KHz emphasis followed by a 6KHz dip. As such, that bright, crisp quality achieved by most lower-treble forward earphones is subdued in favour of a slightly smoother, more organic treble instrument reconstruction. However, as this frequency range remains emphasized, details are very present, they just lack that hard-edged attack. As such, one can hardly call the Xelento detail-deficient, rather, its detail retrieval is very high while simultaneously avoiding fatigue. Moreover, instruments don’t sound truncated and treble is most definitely not lacking extension despite that dip. I would attribute this character to the Xelento’s lightly emphasized middle-treble that provides enhanced air. As a result, cymbals shimmer more appropriately and strings are granted a greater sense of openness. This works wonders in conjunction with the Xelento’s well-bodied nature, helping to maintain pleasing instrument timbre. Upper-treble is linear and well-extended. As this region lacks emphasis, the Xelento’s well-extended treble isn’t as immediately apparent as competitors from Campfire Audio and 64Audio for example. However, extension and resolution are both undeniably strong and this is reflected by the Xelento’s strong micro-detail retrieval in the absence of emphasis. Many listeners are quite lower-treble averse and over-enhancing these frequencies can easily become fatiguing, especially at higher volumes during commute for instance. The Xelento impresses with one of the most tasteful emphases I’ve encountered, successfully enhancing detail presence without a hint of thinness, sibilance or fatigue. With strong extension and enhanced air, the Xelento provides a very spacious soundstage. Width is a prime strength, expanding well beyond the head. Depth is also quite strong and the earphone’s laid-back vocals exacerbate its sense of depth but not to the extent that vocals sound small or distant. The earphone’s presentation is generally more ovoid in nature but it never sounds too intimate with regards to depth. Imaging is quite strong on the Xelento, its full, complete notes occupying their rightful place. And despite its warmth, separation is very respectable too. Bass is controlled and defined, the Xelento’s presentation is layered and each layer is well-delineated, especially due to its strong width. Such a spacious, well-organised stage really elevates the Xelento above lower-end earphones with similarly warm tunings, lacking any congestion and better immersing the listener. Shanling M0 ($90): Slightly less controlled bass, smoother texture and less defined. A touch warmer in tone through the bass and midrange but vocals are well-positioned and remain clear. Well-detailed, slightly aggressive. Nice extension and resolution, darker background, slightly less sparkle. Above average soundstage expansion with coherent imaging. Zero hiss. Fiio M7 ($200): Generally well-controlled bass, enlarged notes so slightly less defined and separated, slightly warmer. Nicely transparent midrange nonetheless with pleasing extension. Well-detailed, not too aggressive. Slightly enhanced air and pleasing resolution and sparkle. Very good soundstage expansion with defined layers and great separation. Slight hiss, mostly imperceptible. Hiby R6 ($570): Well controlled bass, enhanced sub-bass creates great slam without warming tone. Still well-defined and separated. Mids are mostly transparent, upper-mids are laid-back by a hair but are well-extended and clear. Very well detailed and well-bodied treble, slightly darker background but extension is strong as is resolution. Very strong soundstage expansion, great delineation between foreground and background layers. Zero hiss. iBasso DX200 w/AMP5 ($900): Very controlled low-end with great definition and a slightly more aggressive texture than other sources. Mids are pleasantly transparent with a slight upper-midrange lift aiding extension. Treble is very well detailed and well-bodied, extension and resolution are both strong with slightly enhanced air and sparkle. Great soundstage expansion, well-layered and separated. Campfire Audio Vega ($1099): The Vega is more V-shaped with bigger bass and more present treble. However, it also has even more vocal clarity so some have called it W-shaped due to the way its midrange draws attention. The Vega extends just as well, if not a hair more and as it has more sub-bass than the Xelento, it sounds more physical and muscular. Meanwhile, lesser mid-bass emphasis results in a low-end that is still full, but not warm. The Vega is similarly very well controlled, it is slightly more defined on account of its more neutral tone. Upper-bass is also less present and it feeds naturally into the lower-midrange where the Xelento has a bigger dip to combat its warmer low-end. The Vega has a vocal presence bump but it has less midrange presence overall as it lacks the upper-midrange emphasis of the Xelento, instead implementing attenuation to aid smoothness before its brighter treble. The Vega still sounds very clear on account of its lower-treble emphasis, and clarity is aided by its more neutral tone, sounding more transparent. On the contrary, it doesn’t sound quite as refined, with fairly frequent over-articulation. It is also much more aggressively detailed and also slightly more detailed within its foreground, though its instrumentation is thinner. The Vega’s middle-treble is similarly present which aids air. It employs an uptick of upper-treble emphasis to enhance its similarly strong resolution, sounding more energetic with greater sparkle. The Vega has slightly more resolution and its stage is a touch more spacious. This is heightened by its stronger separation due to its more neutral tone. Hyla CE-5 ($940): The CE-5 is very slightly more balanced but also brighter in its voicing by a fair degree. It has similarly flawless sub-bass extension, combined with similar emphasis though its mid and upper-bass are both substantially less emphasized, creating a more neutral tone. The CE-5 isn’t as full and warm, but it’s more controlled, more defined and more detailed in general without sacrificing engagement. The CE-5’s lower-midrange is also less present so its midrange is substantially thinner, in addition to being thinner than neutral. It has a sizable centre midrange emphasis that grants it greater vocal presence than the Xelento. And, as its upper-midrange is similarly forward while its tone is more neutral, it sounds more extended and even clearer. The CE-5 has a crisper treble response with emphasis centred more around 6KHz, it sounds slightly thinner, but it’s also more detailed. The CE-5 has a darker background but it retains air through its stronger extension and greater upper-treble presence. Its micro-detail retrieval is higher in addition to being more aggressive in its presentation yet it sounds simultaneously cleaner. Both have great soundstage expansion and both are width biased, though the CE-5 has a little less width in exchange for greater depth. The CE-5 is more separated while the Xelento images slightly better. Sennheiser ie800S ($1000): The ie800S is more balanced and brighter in its voicing. It has similarly strong sub-bass extension but slightly less emphasis and it’s a lot more linear through its mid and upper-bass sounding more tonally neutral rather than warm. Combined with strong control, the ie800S is more defined and tighter than the Xelento though this isn’t always apparent due to its smoother texture. Both earphones have a sizable dip in the lower-midrange, however, the ie800S has less warmth to imbue body; sounding a touch thin where the Xelento sounds full-bodied and warm. On the contrary, the ie800S has more vocals presence and is substantially more transparent. Both deliver similar clarity, the Xelento having noticeably greater upper-midrange presence and extension. Meanwhile, the ie800S sounds a touch more refined and smooth due to upper-midrange attenuation, creating greater density. On the flipside, the ie800S has a more pronounced lower-treble emphasis, sounding crisper but also thinner. The Xelento has more organic treble instrumentation, but though both are similarly well-detailed overall, fine details are more apparent on the more aggressive ie800S. Another prime difference is with regards to upper-treble where the ie800S has substantially more emphasis, making it a little airier and also bringing micro-detail to the fore. However, its background isn’t as clean as a result. Both expand very well, the Xelento has a wider soundstage while the ie800S is more rounded with greater depth. Both also image well, though the ie800S is more separated on behalf of its more neutral to small note size. AK T8ie MKII ($1000): Comparison between these two earphones is quite interesting as they are tuned quite differently but end up sounding fairly similar in many regards. Both extend very well down low, reaffirmed by heightened sub-bass impact. However, the T8ie has substantially less mid-bass in favour of slightly greater upper-bass and lower-midrange presence. As such, it doesn’t sound as warm and full, instead pursuing a more linear, subtly warm presentation. Its midrange is also considerably more linear, though again, both actually sound quite similar; the T8ie’s extra lower-midrange counteracted by lesser upper-midrange presence and the Xelento’s bigger bass filling in for its more steeply attenuated lower-midrange. Still, as the T8ie is more even, it is more consistently voiced and more realistic in timbre. The T8ie also lacks the same lower-treble emphasis, erring on the smoother side. As such, it is less over-articulated, however, it is also less detailed by a fair degree. The Xelento follows up with greater upper-treble presence that draws out more micro-detail and generates greater air, sounding more open, especially in conjunction with its more forward upper-midrange. The Xelento has a larger soundstage by a hair. The T8ie MKII has a more layered midrange and its imaging is slightly better. Campfire Audio Atlas ($1299): The Atlas is similarly tuned, but with a larger bass response and its lower-treble emphasis lies higher up. The Atlas extends just as well, but has even greater emphasis throughout its entire low-end, most notably with regards to sub and mid-bass. It has a sharper lower-midrange attenuation to combat its larger low-end, creating a midrange that is well-separated and isn’t too warm. However, the Atlas also has a bigger centre midrange emphasis, so its vocals are just as present, slightly more so in the case of male vocals. Both have a gradual upper-midrange climb, the Atlas is slightly more extended here so it sounds less dense and organic through its midrange than the Xelento. The Atlas also has greater treble presence and its emphasis centres around the 6KHz region. As such, its treble isn’t quite as well-bodied, but it’s also a lot more aggressive and crisper. Both have a similarly present middle-treble, with pleasing air and shimmer. However, the Atlas both has stronger extension and greater upper-treble presence, creating a slightly brighter background with superb micro-detail retrieval and resolution. Both earphones are very spacious, the Xelento is a touch wider while the Atlas is rounder like the ie800S. Both also image well, the Xelento is slightly more consistent and coherent while the Atlas is more separated as its tone isn’t as obviously warm. Consumers will likely turn up their nose at the Xelento’s 4-digit asking price, while enthusiasts will clutch their Campfires, 64Audio’s and Nobles donning the warm, consumer-friendly Xelento “too mainstream”. Though it surely is a model with wide appeal, any concerns of dilution are severely misguided. Because the Xelento makes no sacrifice in quality to achieve its frankly awesome ergonomics. And yes, its tuning may be warm and geared towards the masses, but it’s also one of the best-executed examples of this tuning style I’ve tested yet. It’s full and bassy, but also exquisitely controlled. Its midrange is lush and full-bodied, but not to the detriment of clarity. Its treble is especially well-considered; with well-present details and strong extension despite fatigue and sibilance being a complete non-issue. The Xelento therefore effectively achieves its purpose; bridging the gap between consumer practicality and audiophile sensibility. Those looking for a warm, full-bodied sound without the muffle and congestion will find the Xelento versatile and TOTL in every regard. The Beyerdynamic Xelento Remote is available from Amazon (International) for $999 USD and Amazon AU for $1180 AUD at the time of writing. Please see my affiliate link for the most updated pricing, availability and configurations. Previous Previous post: iFi Audio xDSD review: A real ‘Swiss-Army’ trans-portable DAC/amp.